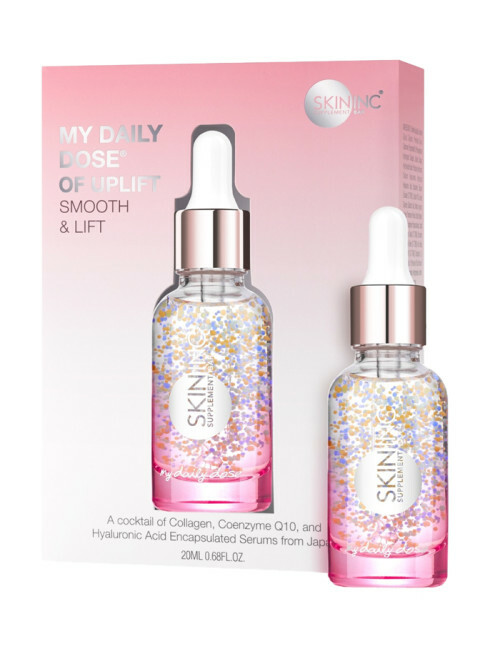 Finally a serum that is uplifting in more ways than one, optimizing skin renewal overnight. 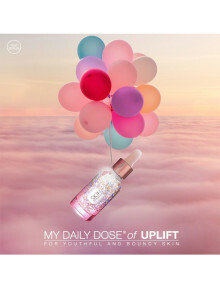 My Daily Dose® of Uplift, a cocktail of encapsulated Collagen, Coenzyme Q10 and Hyaluronic Acid, delivers an anti-aging power punch, giving you smoother, firmer and younger-looking skin. 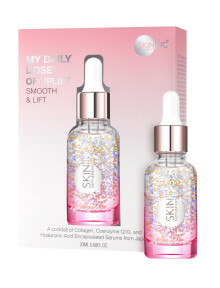 3 drops twice daily after cleansing before applying moisturizer.